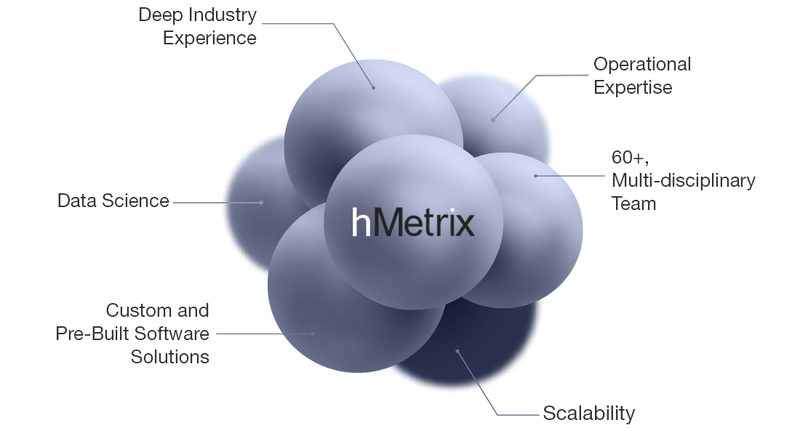 hMetrix is a provider of healthcare business intelligence, data science and operational solutions with over two decades of experience. We offer payers, employers, health systems, providers and care management companies of all sizes and types, high quality, effective solutions specific to their needs in the evolving healthcare market. Our innovation gives healthcare organizations the tools and information needed to positively impact clinical and business outcomes. The hMetrix approach is proven, effective, and adaptable. It integrates cutting edge technology that places a premium on simplicity and accuracy with a wealth of experience in healthcare analytics and consulting. This combination of cutting-edge custom data analytics and years of real-world exposure to the demands and practicalities of the healthcare domain makes our services uniquely effective for our diverse client portfolio. We enable clients from across the healthcare spectrum - payers, providers, employers, care managers, and policy makers among them - to make better decisions, faster.